Article about the temporary bridge from The Wolverine Citizen. 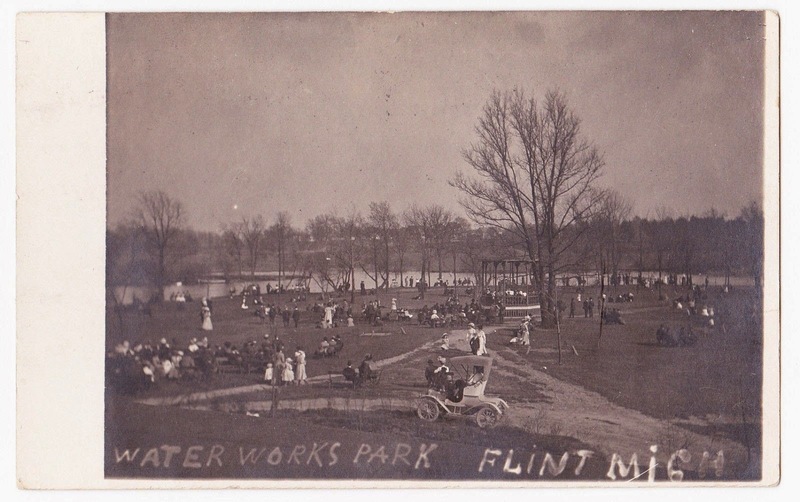 This water Works view, shown from the east bank of the Flint river, was Post marked 1915. Story about this new plant. 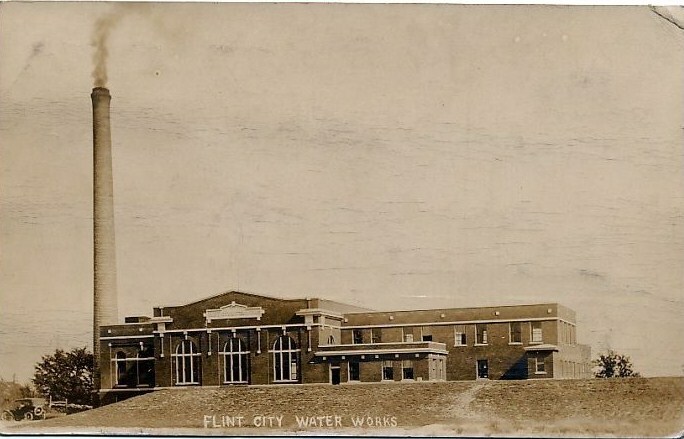 This view of the Water Works plant from 1894 is the same view as the photo at the very bottom of this post. 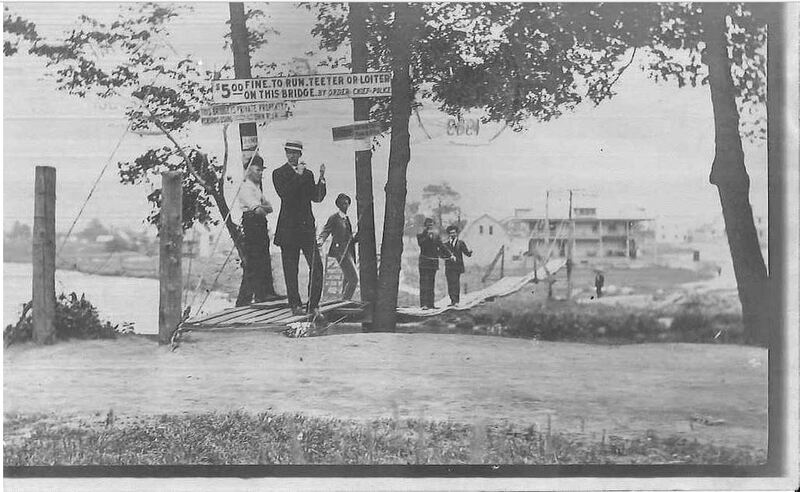 The Buick complex will fill the background beginning after the turn of the 20th century. This was a very pretty place at one time. 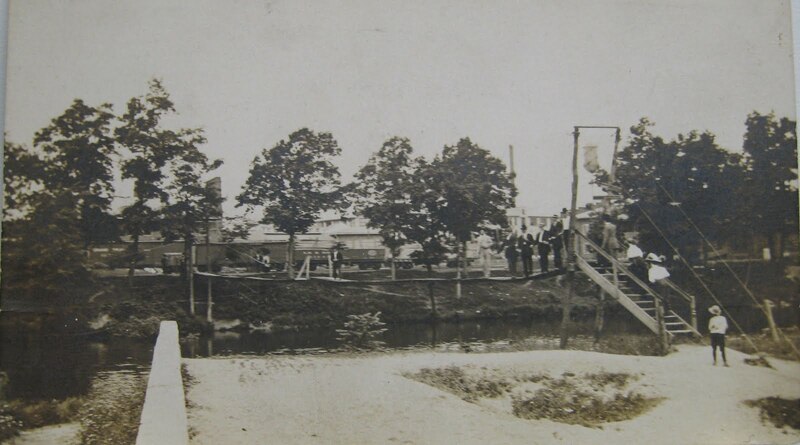 This view of the first Hamilton Avenue bridge is facing west with the Flint Varnish factory in center and Buick factory #01 off to the right. 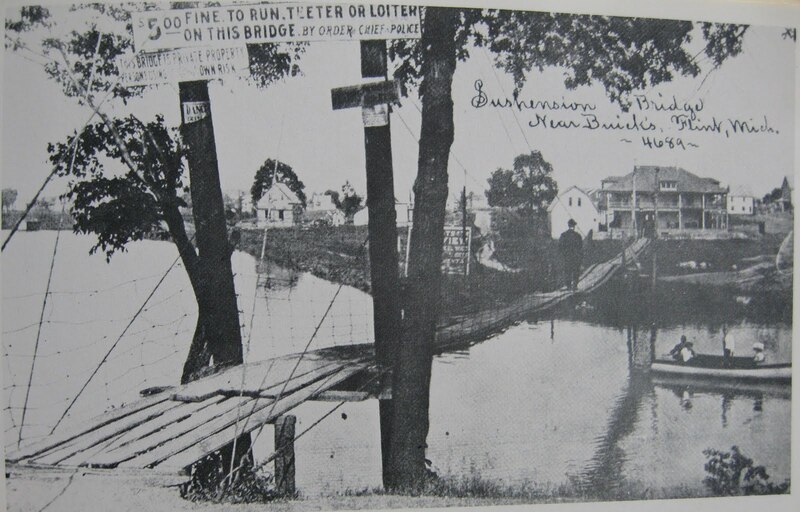 This was a makeshift suspension bridge built in the spring of 1909. 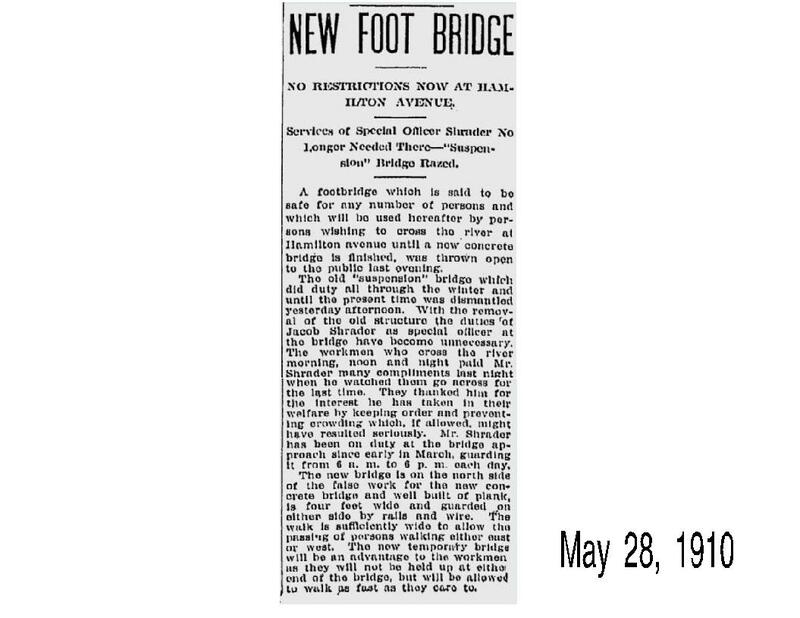 According to the article above, there were two suspension bridges built before the first vehicular bridge was constructed late in 1910. A view facing east at the first bridge crossing the Flint River to the boarding houses on the east side. This is the first suspension bridge with a second “wider one” that I did not originally know about built later, so the first concrete bridge would really be bridge #3 and that is what research is all about. 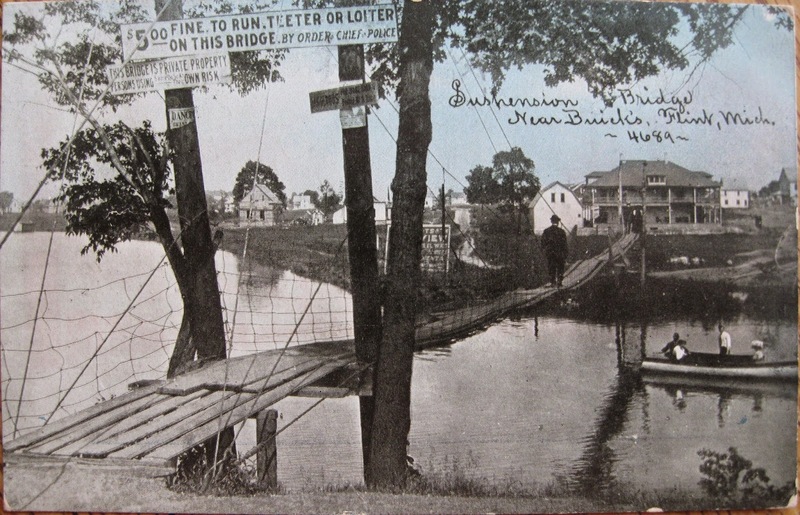 There was never a steel truss bridge as is shown in some period postcards from 1910. If you notice the postcard is numbered 4689 and in the one at the bottom a view from farther downriver taken at the same time is numbered 4688. Mailed on October 23, 1909. The card below is also from my personal collection. “This is one of the nicest cards I have ever purchased. Chances are it is one of a kind”. This view facing west from Davison or Broadway looking at the second bridge crossing the Flint river at this location. The bridge is a suspension type leading to St Johns Street on the west bank. The factories in the distance are from left to right The Flint Varnish Works the middle is Buick Factory #01 and at the right you can just see the Imperial Wheel company. 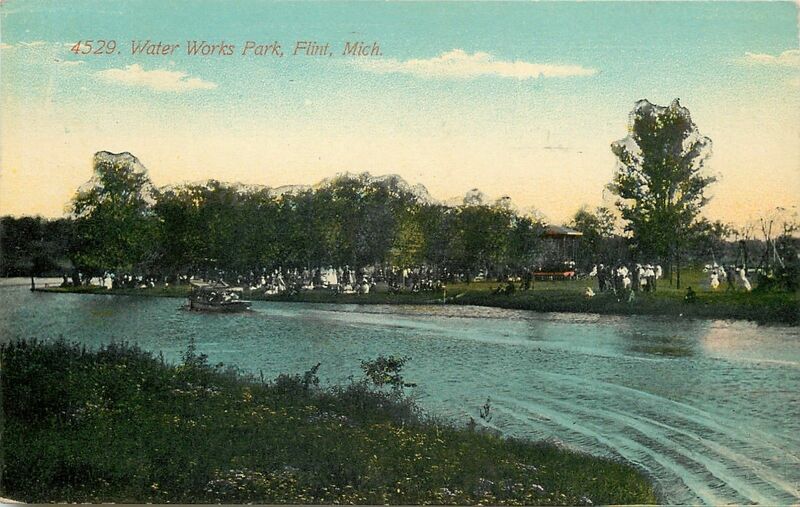 The rail cars across the river are on a spur line for feeding the Water Works plant, The Armstrong Spring Plant, The Varnish Works &amp; the Flint Motor Axle Company later The Walker-Weiss Axle Company. I have many other photos from this location in previous posts. The fine was five dollars for loitering on this bridge so I see fines in excess of thirty dollars. This is the same view from the north. 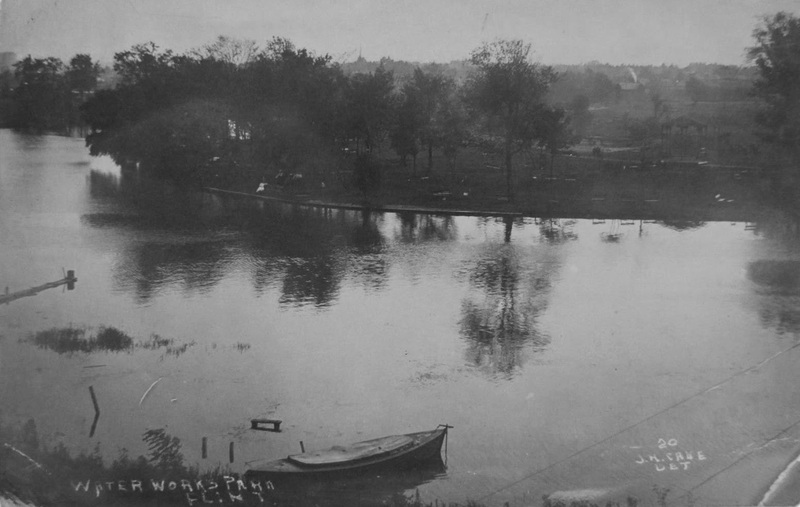 A unique west view at the Water Works park and you will notice at the lower right; the suspension cables of the foot bridge.